Join ASPP NY Chapter for a private tour of The Burns Archive, and learn more about this unique collection. From the birth of photography through the atomic age, The Burns Archive with over one million historic photographs is best known for providing photographic evidence of forgotten, unseen and disquieting aspects of history. The cornerstone of The Burns Archive is its unparalleled collection of early medical photography, but it is also renowned for its iconic images depicting the darker side of life: Death, Disease, Disaster, Mayhem, Crime, Racism, Revolution and War. Recently, The Burns Archive served as a consultant to THE KNICK on Cinemax. Dr. Burns, with his encyclopedic knowledge and historical expertise of the medical field, provided conceptual guidance and historic accuracy. As a surgeon, Dr. Burns turned the actors into turn-of-the-century physicians and advised on-set for all medical procedures and operative scenes. 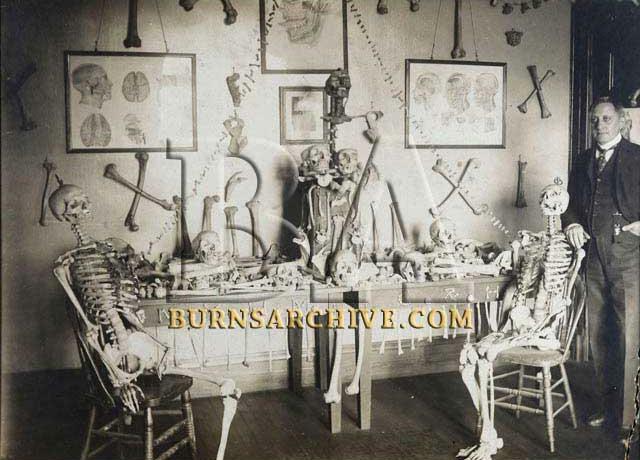 Elizabeth A. Burns, Archivist for The Burns Archive, provided reference material from the Archive’s extensive collection of medical photography and assisted Dr. Burns in perfecting details of the period. Tour Limited to 20 attendees, so get your tickets early!